Living in an RV. Check. Changing sewage pipes every freaking five seconds, while bonding with your neighbor about how things back up so easily. Check. Have become the official RV park doctor for the "hey doc what's this big hairy thing on my elbow? I think it moved there yesterday. Is it cancerous?" Check. Driving a car with a beatup rear light due to being too stubborn to buy a new one or get it fixed. Check. Sporting a paste of meat tenderizer on your hand where a bee stung you. Check. Meat tenderizer worked within a minute, but I was too lazy to take it off for five minutes. Double check. 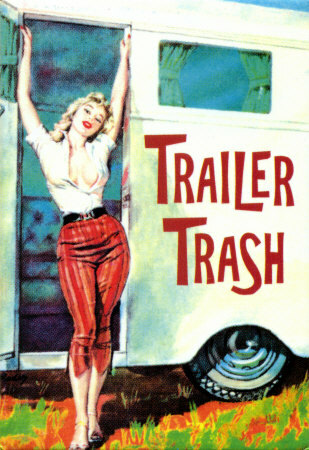 Don't get me wrong: I don't really mind being able to identify with every Jeff Foxworthy Redneck joke-- in fact, I'd like to think I could look like that bombshell picture and I adore RV campers, they're great people--but I have to admit being a trailer park doctor isn't that glamorous. Yet, I am grateful and happy that I am a family practitioner starting out somewhere. In fact, it sometimes can be hardwork. I have seen too many cases of heat illness this summer among campers that heat illnesses have become my new soap box. There has been an unprecedented heat wave moving through the northern states, enough that the southern states are laughing at us. Aren't we northerners the pathetic step-children now? It's as though the underworld has opened its gates too let some demon pass a foul air-bisquit upon our once cool countryside. The south is cool. Why can't we be cool too? With this diabolical heat wave we northerners weren't prepared for, comes a lot of heat exhaustion, heat stroke, and dehydration. Here I was one glorious Friday afternoon...okay, not so glorious it was a whopping 109 degrees outside, even the flies were fanning themselves.... Contemplating whether or not I should risk the lactose intolerance and glucose rush for a bite of ice cream, and the camp groundsman comes running up to me, saying, "Doctor. Doctor, there's a little boy that's acting funny?" There are something's that you just don't want to hear when you're about to pound a heaping pile of rainbowbrite icecream down your throat. I practically choked. "Funny?" "He looks like he's going to pass out." That was even worse. 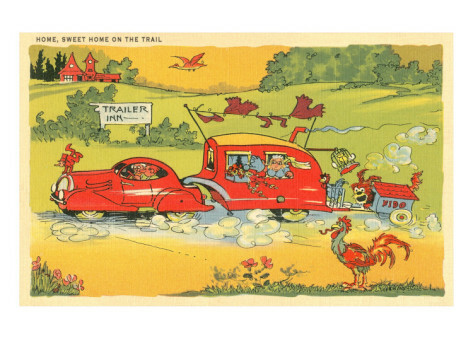 Now it is a true fact that children usually will play until they are about dead. In fact, children don't show signs of hyperthermia or hypothermia until they are severely ill. They literally will play themselves to death. So here was a boy about 12 years old acting like a drunk man after a fraternity kegger. Yep, not a pretty sight on several levels. I knew this was going to be bad. "Put ice packs in his armpits." Let's pause here. I know what you are thinking... Ice in his armpits? Yeah, and on his neck and in his groin. Heck, I even had him hug a bag of ice like a teddy bear. The key to treating hyperthermic illnesses is to immediately do everything you can to bring down the body's core temperature. These treatments are also used post-cardiac arrest to decrease the work load upon the damaged heart muscle. When a person's body is subject to high temperatures, a series of physiological responses take place starting with vasodilation. Basically, your blood vessels get huge like portbelly sausages, allowing for blood to shunted to your skin in order to cool you down. Your body uses evaporation, which is the most efficient means of cooling down (if the humidity is low). Here in Michigan, the humidity stays around 50 to 70% and that day was around 109 degrees. 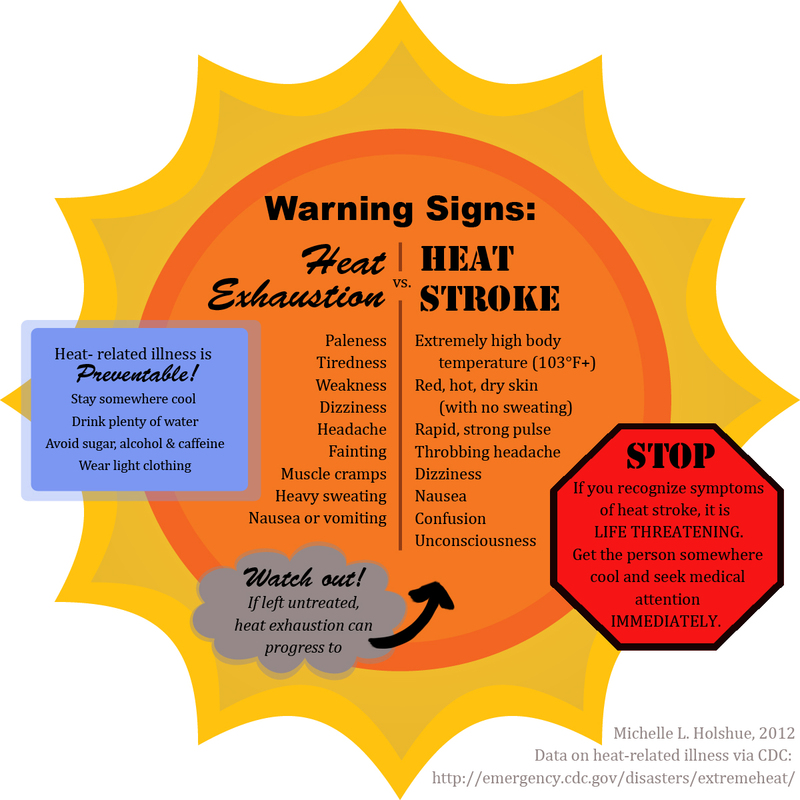 So how do we identify heat illness? Let's break it down into categories of heat illnesses and how to identify and treat each one. One of the earliest heat illnesses is called heat cramps. These occur when a person is hydrated well with plain water, is exercising in the heat, but the body starts to lose essential minerals and salts. These are those people that have just been running around in the heat, drinking lots of water but start having muscle cramps in their legs (especially the calves) or in their sides. The treatment for mild cases is to drink water with electrolytes in it, such as drinking a quart of water with 1/4 to 1/2 teaspoon of salt in it. Yummy. Or you could add water to a sports drink with a pinch of salt. Severe cases need IV fluid of one-liter boluses of normal saline (0.9% NaCl). The precursor to Heat Stroke, which we will talk about later, is known as heat exhaustion. This is the more commonly seen presentation of heat illnesses. This is where the little kids start getting a little whoozy. They start acting "funny," but they will still keep playing. This condition occurs when the heat stress on the body leads to marked sodium depletion and low intravascular volume. What does that mean for us? Basically, they overheat, get dehydrated, and sweat out all their electrolytes. So when end up with thirsty, sweaty, cranky cooks running around. Treatment includes giving them as much cold water and electrolytes to drink as possible. The goal should be to get them to drink at least 1 to 2 liters of fluid over 2 to 4 hours. Except, and this is a big except: the drinks you give them cannot exceed 6% carbohydrate content. This means no sugary fruit juices and no soda pop. Sorry to all those coke addicts out there. No coke for you! Remove the patient from direct sunlight and remove all their restrictive clothing, moving them preferrably to an air conditioned environment. (Air conditioners remove moisture/humidity from the air, thus increasing their body's ability to evaporate sweat and cool them down faster.) Try to keep them from shivering by using ambient temperature... shivering increases the body's heat and needs to be avoided. Under normal circumstances, the best way to rapidly cool a person down is to get them sopping wet and put them into a cool dry room with a fan blowing the AC on them. If you're in a high humidity environment with no AC, then this option doesn't work. Humidity adversely affects the body's ability to use evaporation as a means of cooling down. So if, you're in places like Michigan or an island with a gorgeous beach (which I am envying right now), you're best treatment is to put ice in their pits and groin. This is a medical emergency. No ifs, ands, or buts about it: they need to go to the hospital. This the 911 call that must happen regardless of being in a sweaty campground trailer with a dozen or so people watching you. The main difference between heat exhaustion and heat stroke is the appearance of altered mental status changes. A heat stroke victim will walk funny (ataxia), talk funny (slurred speech), and pass out which isn't funny. 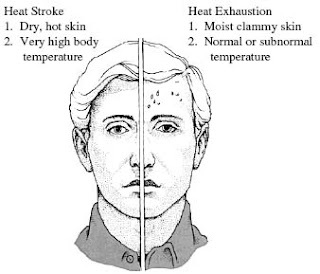 CNS disturbances literally are a hallmark that the patient has progressed from heat exhaustion into heat stroke. The boy at the campground had slurred speech and passed out twice. You can imagine how concerned I felt while treating him waiting for the ambulance to arrive. He could barely stand with a wobbily gait in a manner called ataxia. Ataxia, or a lack of muscle coordination most commonly seen in walking, is one of the first neurological signs of heat stroke. The patient with ataxia will walk like a sailor on land... or a person with a severe case of ants in their pants. Another common sign is that the patient stops sweating (anhidrosis). The lack of sweating can occur in the late stages of heat exhaustion, so it isn't as diagnostic as ataxia. Note: Heat stroke is where the children will slow down and pass out. They will quit playing and that is not a good sign. The key to treatment and preventing heat stroke is to realize this illness and heat exhaustion are not two separate conditions, but that they are a progression of the same illness. So the treatment of heat stroke, uses with the exact same treatment as you would for heat exhaustion just with more advanced and aggressive measures. So consider the following as being "in addition to" the treatment for heat exhaustion. First off: You need to worry about airways with the heat stroke patients. They need to have their airway, breathing, and circulation evaluated (which is an entirely different post on basic Life Support and CPR) and handled accordingly. High flow oxygen via non-rebreather mask is one of the first line treatments administered to a heat stroke patient in addition to the treatments used in heat exhaustion. And, cardiac monitoring and IV fluid infusion with normal saline (ideally 1 to 2 liters given over the first hour) are also administered. In heat stroke, ice packs are used aggressively in armpits, on the groin, and on the neck, with cold compresses on the scalp and forehead. The sopping wet treatment as demonstrated in the heat exhaustion treatment is preferred here as well, with an effort to keep the patient as wet as possible in a tepid (comfortable ambient room temperature with air conditioning) environment and continuously fanned. Since it was extremely humid in Michigan that hot day, we opted for the ice packs, a fan, an amazing air conditioner, and a busload of cold water. The goal is achieve a core body temperature of 102 to 104 degrees F (39-40 degrees C) as fast as possible then to taper the cooling down to avoid hypothermia. The best way to prevent heat illnesses is to hydrate, prevent long periods of heat exposure or to decrease heat, and to acclimatize yourselves slowly to heat. Seriously people, if you're going to go out in the bristly sun, then you need to be a fish. You need to drink bare minimum 4 to 8 ounces of water or a sports beverage every 15 to 20 minutes that you are out there in that scorcher exerting yourself. The goal is to drink fluids until your urine is clear. Yes, this means you have to look when you go. Also, you need to keep in mind that you sweat out your electrolytes, so you need to eat salty foods, such as saltine crackers, pickles, canned vegetables, etc. Why? Well, the salt helps you retain water and you need to replace the salt that you are sweating out, lest you get heat cramps. And you can always use that 1/4 tsp to 1/2 tsp of salt to one liter of fluid. The World Health Organization recommends for rehydration adding 1/2 tsp of salt and 6 tsps of sugar to one liter of pure water. Wear light-colored, loose-fitting and breathable clothing. In less humid locations, frequently douse exposed skin with water or a cool misting spray. 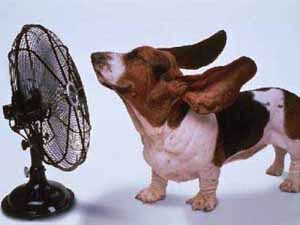 In humid regions, frequently go into air conditioned environments and fan yourself. Avoid direct sunlight whenever possible. You need to allow your body time to get used to a hotter temperature. This process will activate a physiological system called the renin-angiotensin-aldosterone axis which helps your body increase sodium conservation, expand blood volume which helps the cardiovascular system to adapt, and maximizes sweat production. Adults usually take 7 to 10 days to acclimatize to a hotter temperature. Gradually increase the time you spend in the great hot outdoors over the 10 days. Children and elderly take longer to acclimatize. They can take up to 14 days. (10 to 14 days) Also, people whom are coming from colder climates immediately into hotter ones, such as those vacationing from say Phoenix, Arizona (was a peachy 70 degrees that day with no humidity) to Southwest Michigan (humid 109 degrees) will have a harder time acclimatizing and should gradually increase their exposure over the 14 days. On the other side of things, it usually takes 1 to 2 weeks to de-acclimatize from going to hot temperature to colder temperature. If you have anymore questions concerning heat illness, please refer to the Wilderness Medical Society whose link is listed in the side bar. Thank you for reading. TTFN.